The CRP-101728 is similar to the CRP-10797 but slightly more delicate. 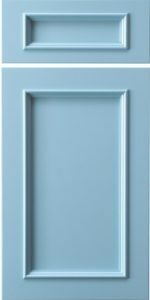 An optimal choice for inset cabinets, Conestoga (CWS) also wanted to optimize this design, especially for painted finishes. By offering this door in full, five-piece MDF construction, CWS created the CRP-101728 (MDF), which should be considered for all Applied Molding doors with a painted finish. P-057, P-602, Presidential, & Reverse G-Cove only. Yes - Apply over 1/4" MDF panel.